We got the snapback. We got the bling. We got the stripes. 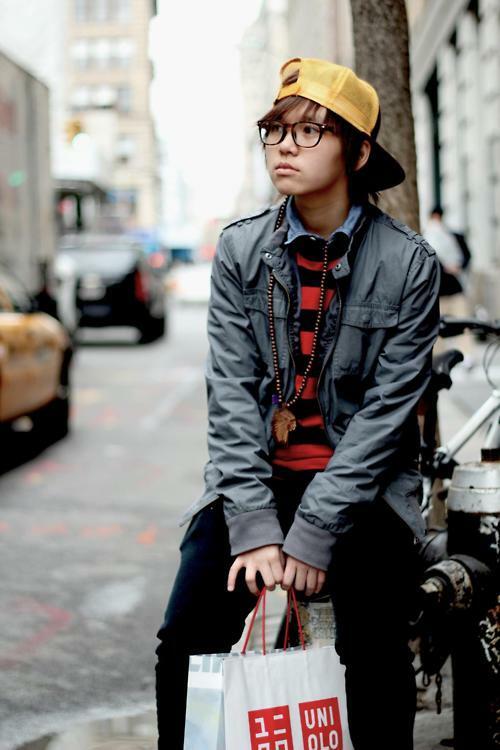 Damn Girl, if this isn’t City Queer Chic I don’t know what is. 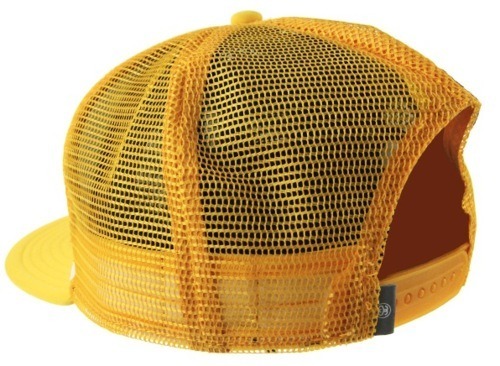 In case you want a similar yellow snapback… here is the Stussy Surf Icon Trucker Ball Cap Yellow, available at Attitude inc for £30.00.